Marketers aren’t the only ones facing this problem. Publishers are in the midst of a content crisis and the big names in media have turned to data journalism over the past few years to re-engage their audiences – with great results. Now, marketers are following suit with their own take on data journalism to create compelling stories that people can engage with. Here’s how you can do the same. 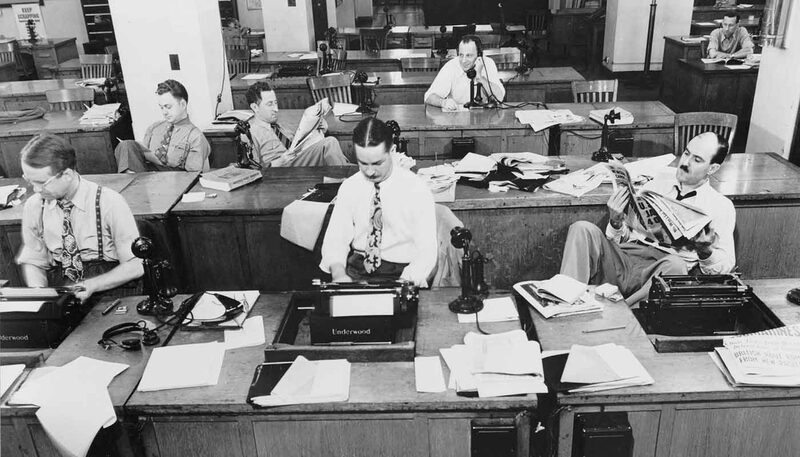 Why should marketers care about data journalism? In a world of fake news, affiliate marketing and content overload (where every brand claims to be the best), people’s faith in content is at an all-time low. 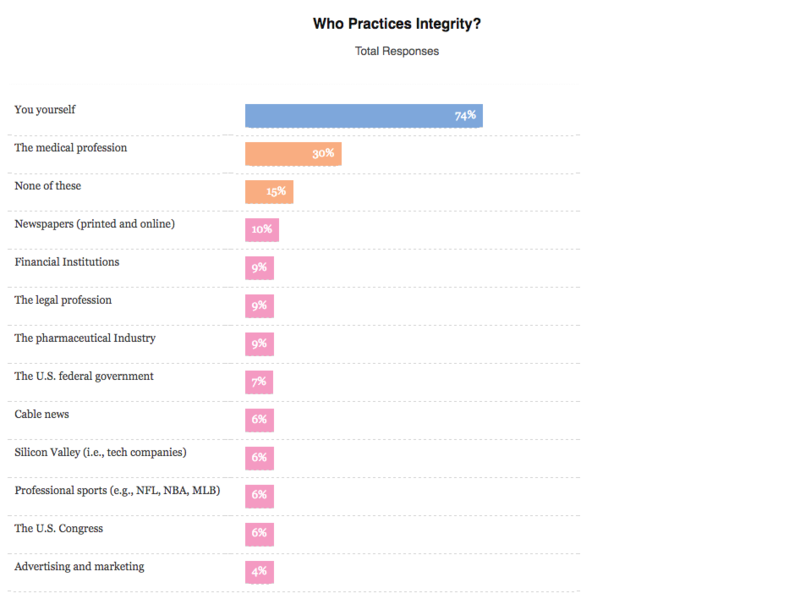 A study from Ipsos into public trust reveals advertising and marketing are among the least trusted sources of information. Another problem facing brands and marketers is content saturation. 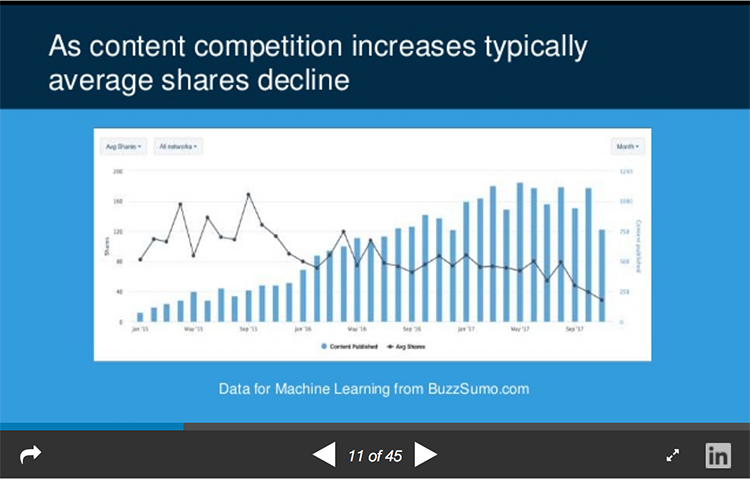 One of the key findings in the BuzzSumo study we mentioned earlier is that, the more content being published about a single topic, the lower engagement typically becomes. Data journalism (or, as we describe it, data storytelling) is a good way to tackle both the trust factor and to overcome the saturation problem. Content with visual appeal is more eye-catching and suited to the modern audience, who tend to scan rather than read. Even better if it is interactive, for them to engage with it. Factual data overcomes the accusation of spin or bias. Data journalism, or data storytelling, means telling your story with charts, graphs or diagrams, enabling your reader to view the data that forms the story. As a marketer, you can employ the same approach with your content. To make people notice and read your content, the key is finding something new and compelling to say, and presenting the data in a visually appealing way. This is what data journalists excel at and, as you’ll see in the following examples, some of the best data journalism simply shows people the role that brands and services play in their daily lives. BuzzFeed News revealed the flight paths of thousands of US spy planes – including state and local law enforcement – by training a machine learning plane tracker. 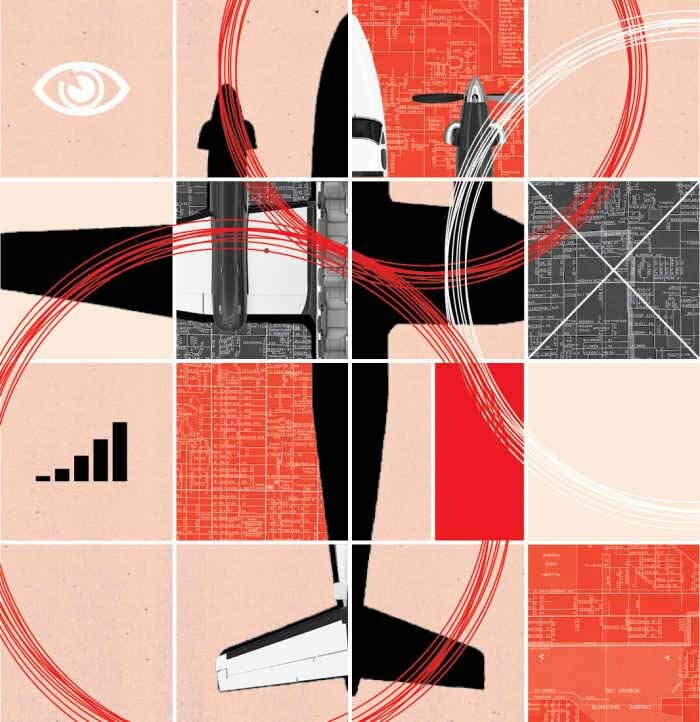 At a time when public faith in the government is on the rocks, the publication lifted the lid on covert operations at the nation’s border, the use of unregistered aircraft and some bizarre flight paths over populated civilian land. Hidden Spy Planes by BuzzFeed News won the JSK Fellowships award for innovation in data journalism at this year’s Data Journalism Awards, highlighting what machine learning technology has to offer this kind of content. 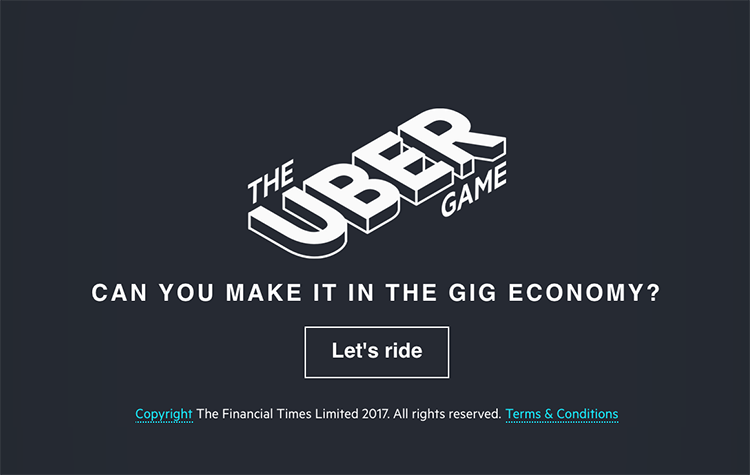 The Uber Game, by the Financial Times, turns data journalism into a playable game, “based on real reporting, including interviews with dozens of Uber drivers”. The aim is to put you behind the wheel as a full-time Uber driver and see if you can earn enough to pay the mortgage and support your family. There are different difficulty settings which affect your credit rating and ability to earn, plus a bundle of troublesome customers to deal with. However, the real challenge in this game is balancing the expenses of being an Uber driver with the legally questionable amount of money you can earn. 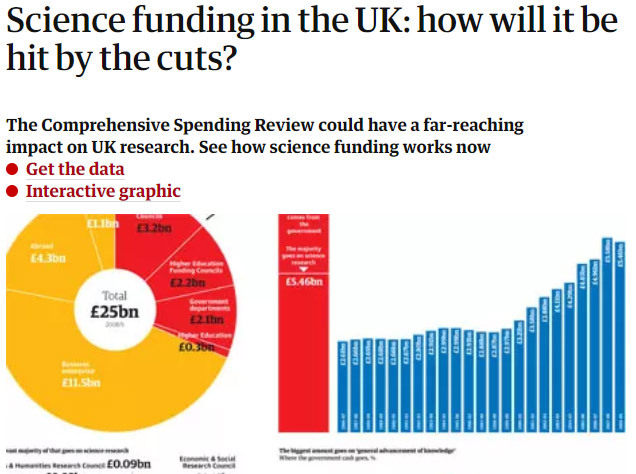 The Guardian compiled data about science funding in the UK, to demonstrate how it would be affected by cuts. The newspaper employed data visualisation, with an interactive graphic and a link to the data. High-speed rail has transformed the way people travel around China, cutting the time it takes to get from Beijing to Nanjing down to just 3.5 hours – a journey that can take 10-15 hours by road. Thanks to China’s modern train network, people can easily access parts of the country that were previously out of reach – and this interactive map shows people all the places they can get to using high-speed rail. Once again, it all comes down to showing the impact this system has on their daily lives instead of it being another soulless infrastructure development project. Storytelling is central to data journalism but there’s extra emphasis on reportage compared with the broader concept of data storytelling (hence the journalism nuance). So your aim is to discover fresh insights and deliver them as breaking headlines, new findings and exclusives people won’t get elsewhere. This is a little different to the branded storytelling you might be used to. Here, your role is to report, not sell, and the trick is to pinpoint those data insights that are going to point readers towards your brand without using any of the corporate spiel they’re fed up with. Know your angle. Start with the questions you want to answer, and the angle you want to take. Find the data: Source data from several places – The ONS is a good place to start. You can also compile your own data. Visualise your data. For your data to have an impact, you need to present it in a visual way – charts, infographics, interactive visualisations, etc. Structure your story. You don’t need to tell the whole story in one piece of content. You can run a series of posts, unveiling snippets of your insights and revealing more of the story as you go. You’ll also want to publish across multiple channels in different formats with content tailored to user habits on each platform (e.g. Facebook videos vs Twitter graphs). Consider Google News. If data journalism is going to become a crucial part of your content strategy, consider submitting your site on Google News Publisher Center. This will give you a new channel for users to discover your content, the chance to show up in Google’s AMP carousel and make your data visible in Google Search. People trust facts and figures more than anything you have to say about your product or services. Most brands have spent the past decade or so publishing repetitive, overly promotional content that has nothing to offer except another sales pitch. With data journalism, you’re dropping the sales pitch in favour of practical insights and proving their worth with solid numbers. Then you’re crafting stories around this data that people can relate to, giving you the chance to provoke an emotional response that brings them closer to your brand. If you’d like to create your own data stories, we can help. 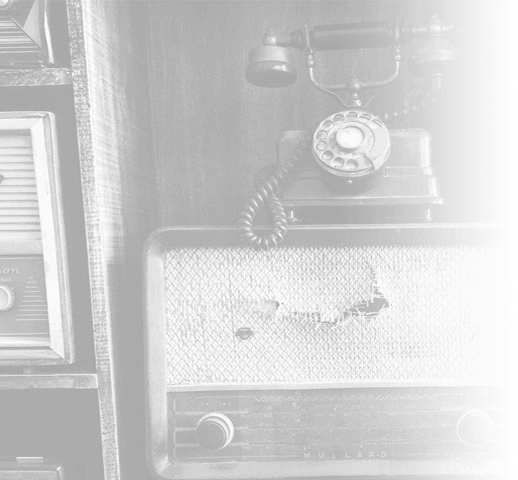 Just drop us your details and one of our content specialists will be happy to chat through things with you. If you invest some time in research and planning to gather data insights, you can then add design flair to your content to tell stories in an engaging, visually appealing way. To reach the ‘sceptic’ consumers, brands should be raising the quality of content they are producing and sharing. Data-backed content is now in high demand. And data science should become your tool to elevate your brand’s authority and credibility. Data visualisation helps us make sense of difficult concepts. Marketers can benefit from transferring data from spreadsheets to visual canvases, as we illustrate in this post.